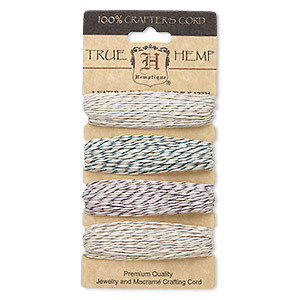 Cord, hemp, purple, 1mm diameter. 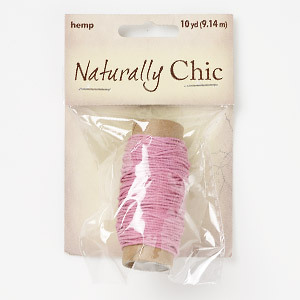 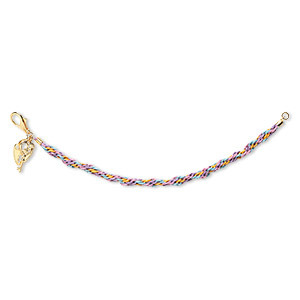 Sold per pkg of 10 yards. 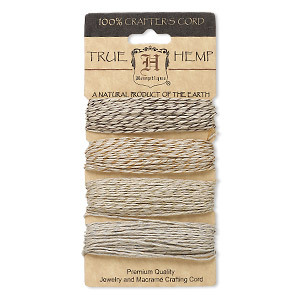 Cord, hemp, natural, 2mm diameter. 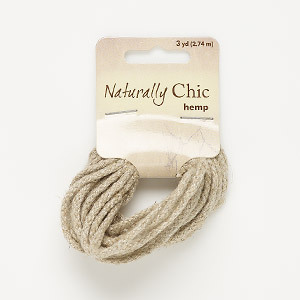 Sold per pkg of 3 yards. 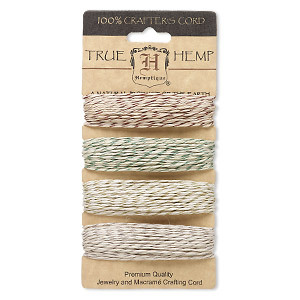 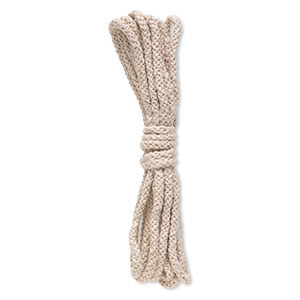 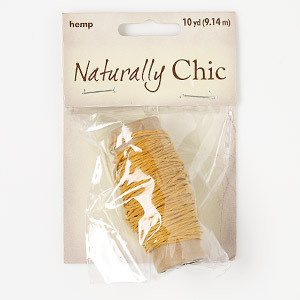 Cord, Hemptique®, hemp, natural, 3mm braided. 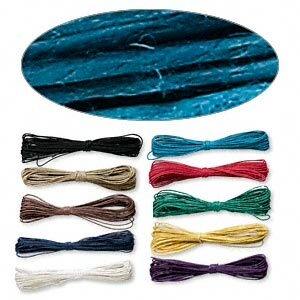 Sold per pkg of 2 meters. 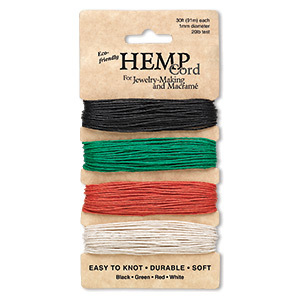 Cord, Hemptique®, unpolished hemp, black, 3mm rounded braid. 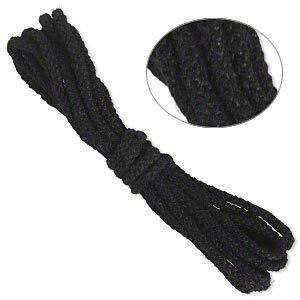 Sold per pkg of 2 meters. 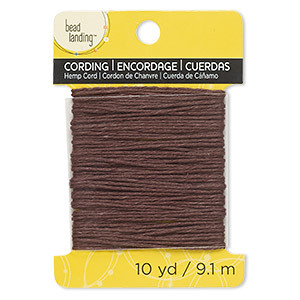 NEW - Cord, hemp, dark brown, 1mm wide. 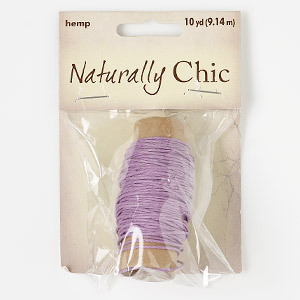 Sold per 10-yard pkg.